An Autore white gold South Sea pearl strand necklace. 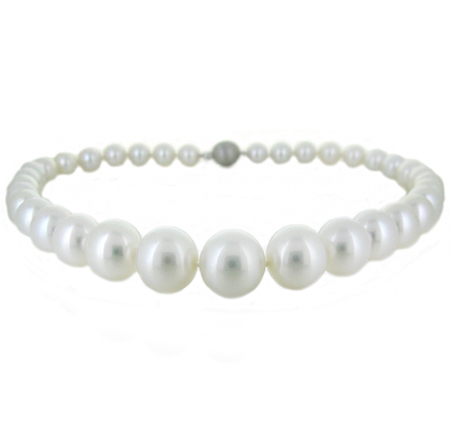 The necklace is made up of 35 South Sea pearls which are graduating in size between 11.05mm to 14.90mm in diameter, near round in shape, have excellent lustre and excellent skin and is fitted with an 18K white gold clasp. 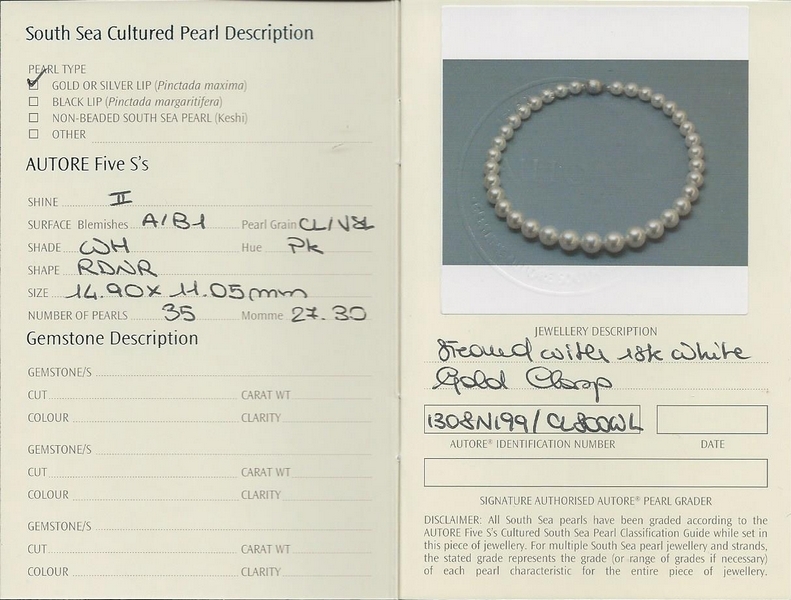 Read about the Autore south sea pearls here.